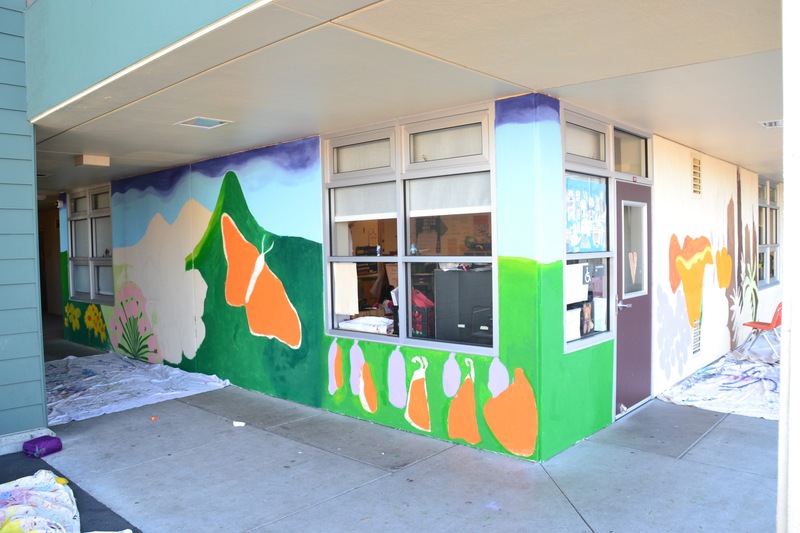 4 Consecutive Years of Murals!! 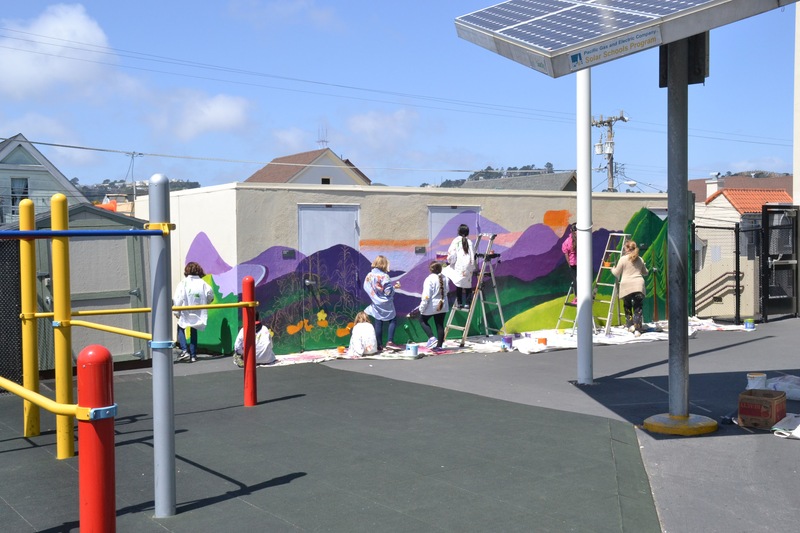 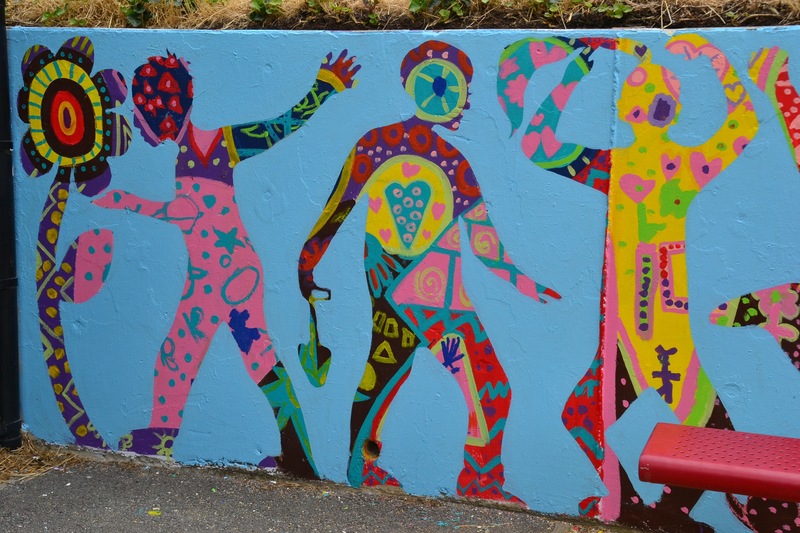 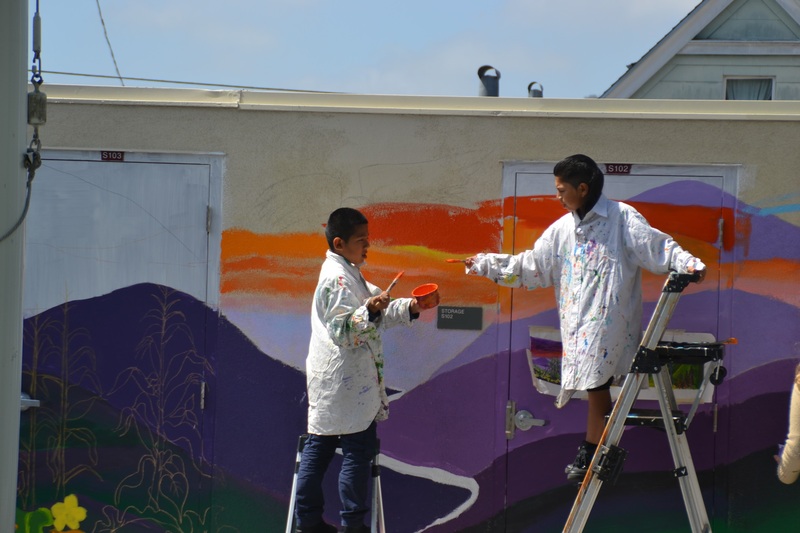 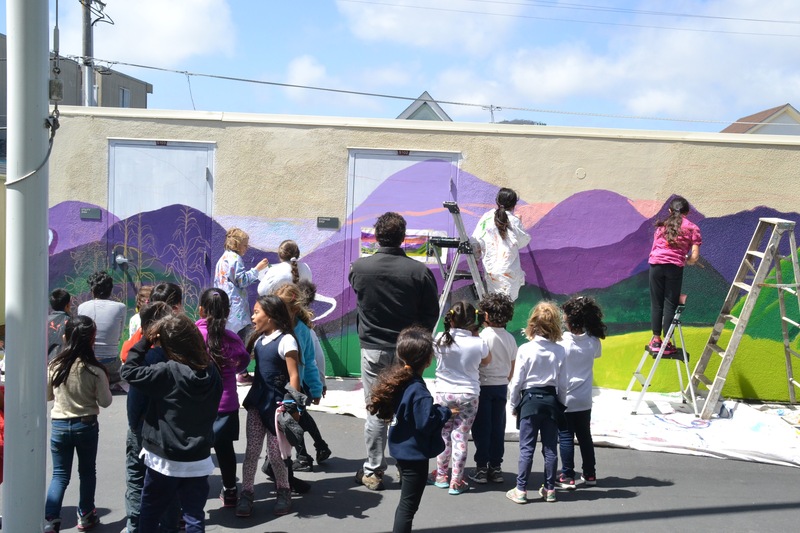 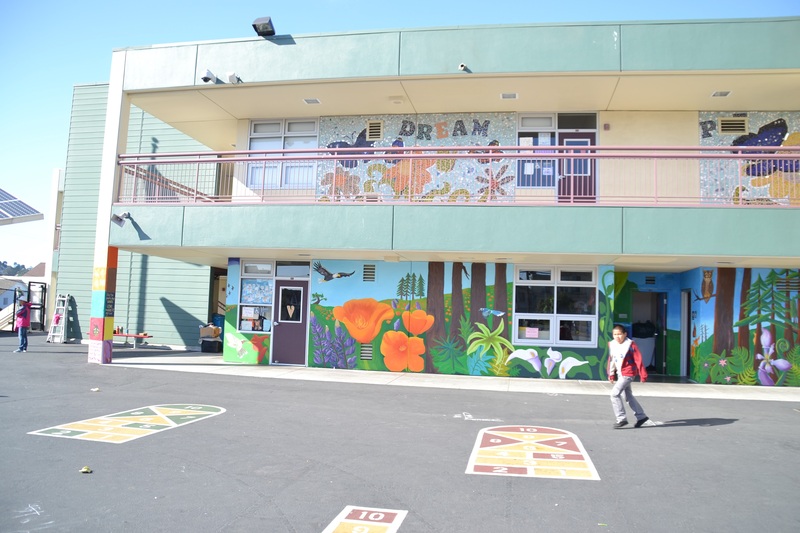 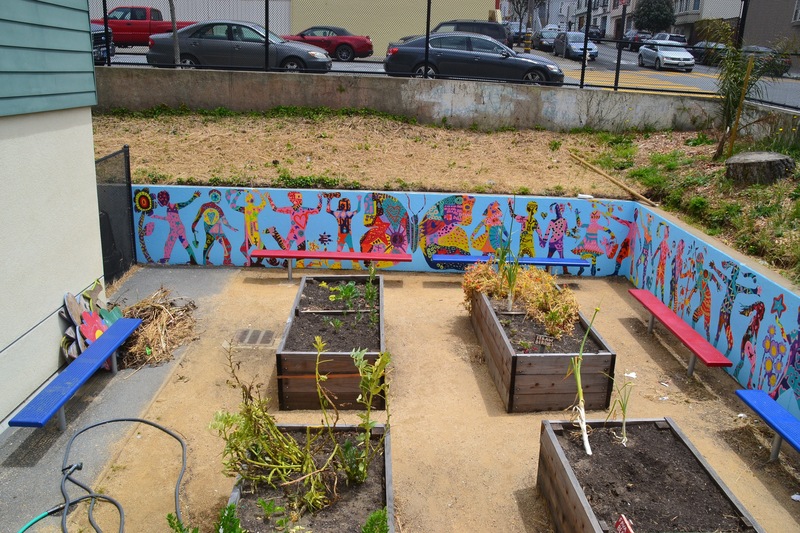 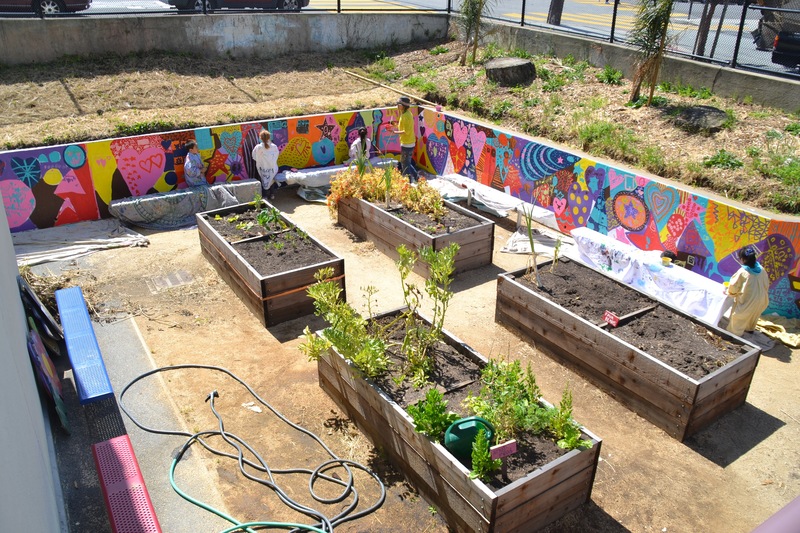 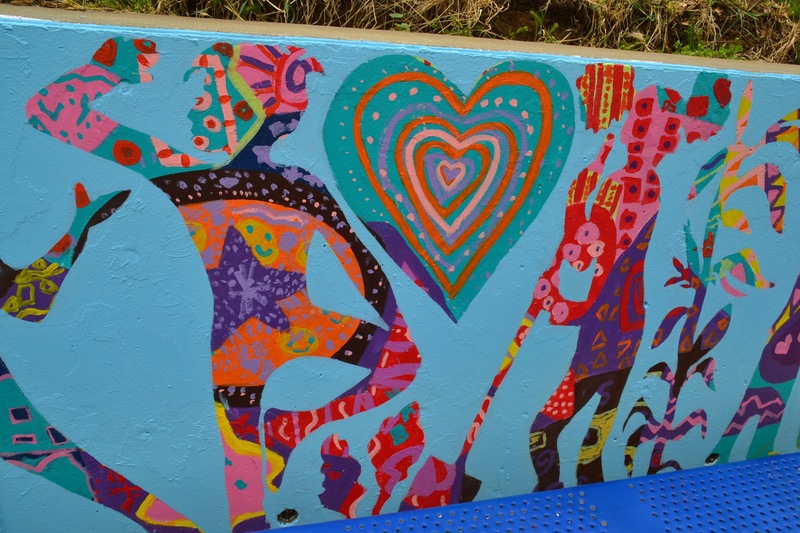 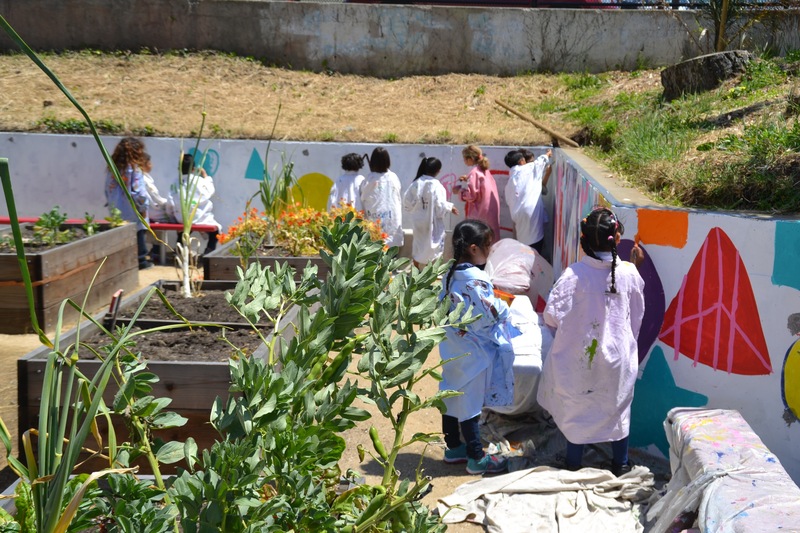 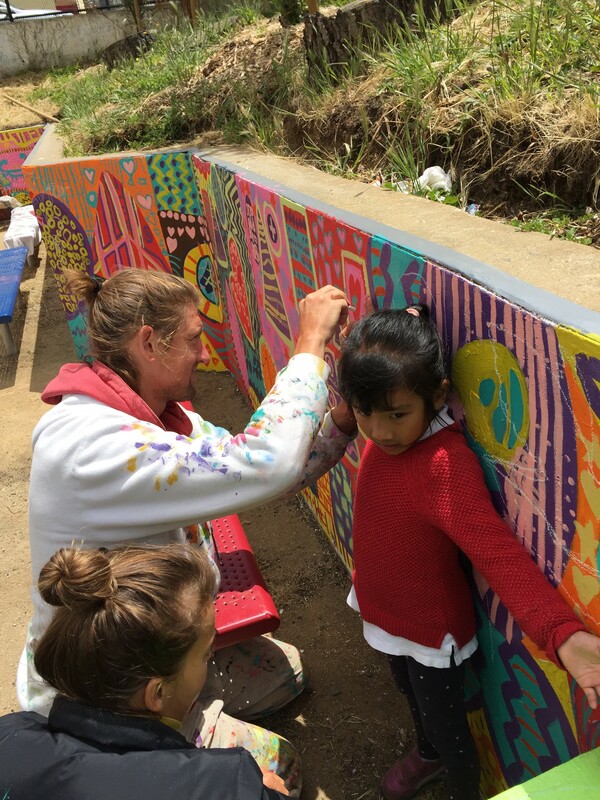 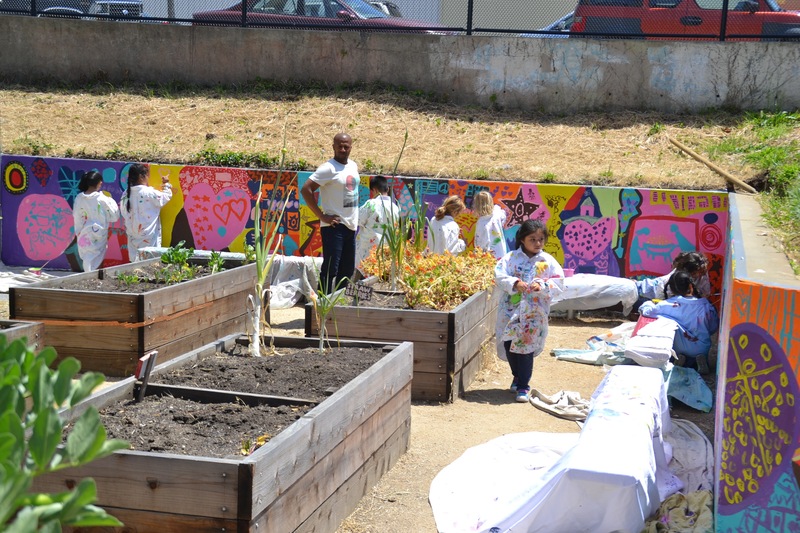 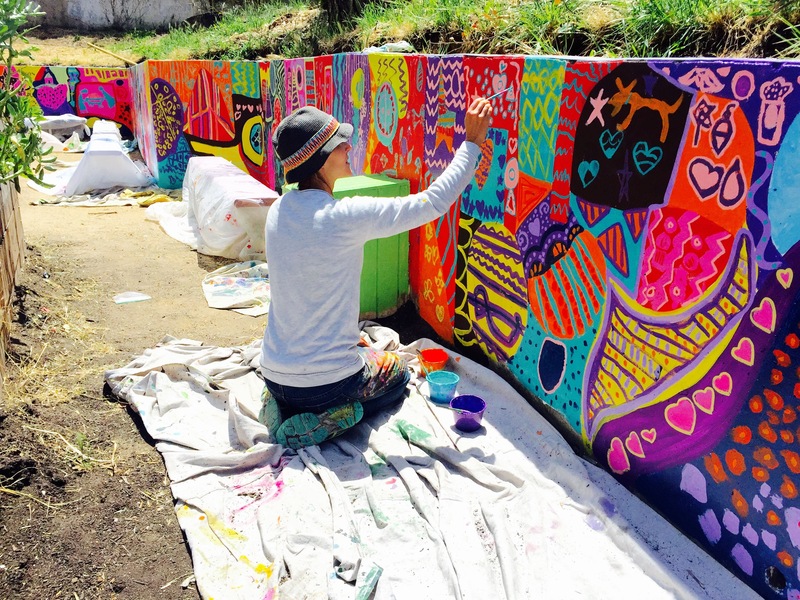 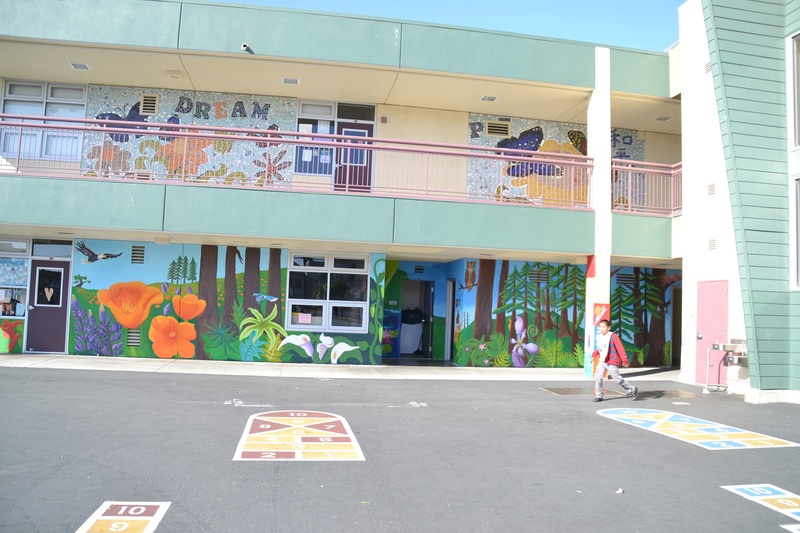 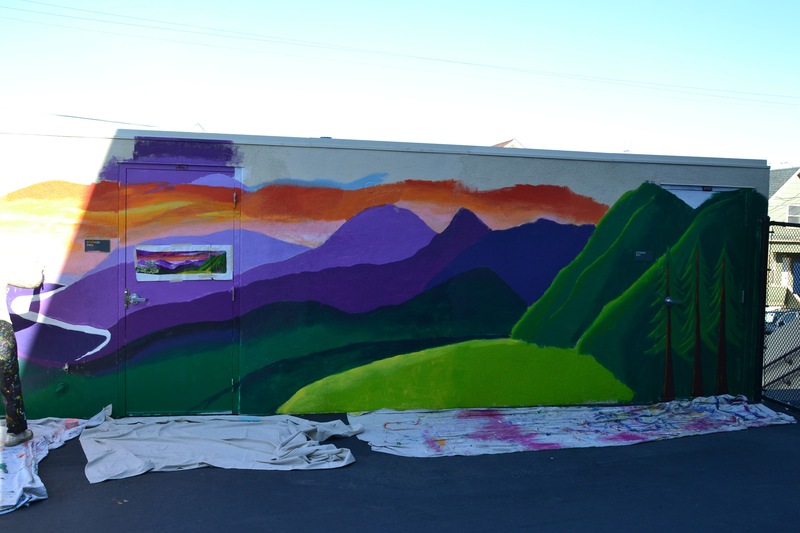 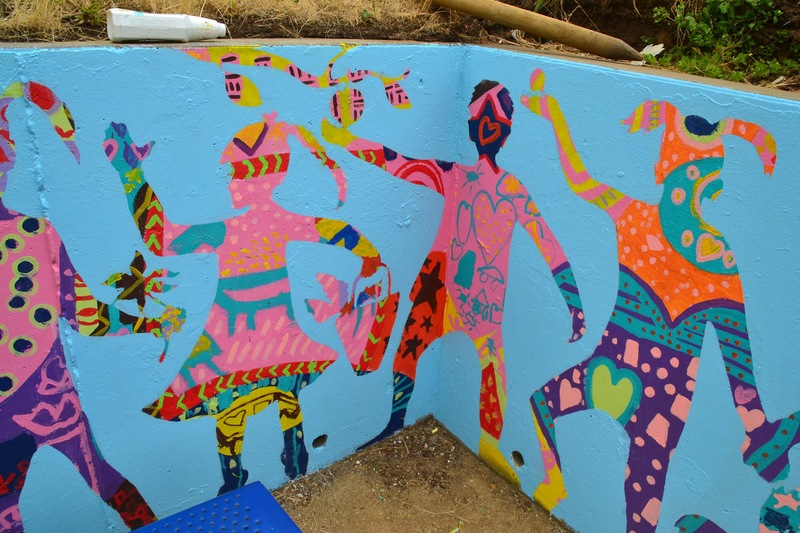 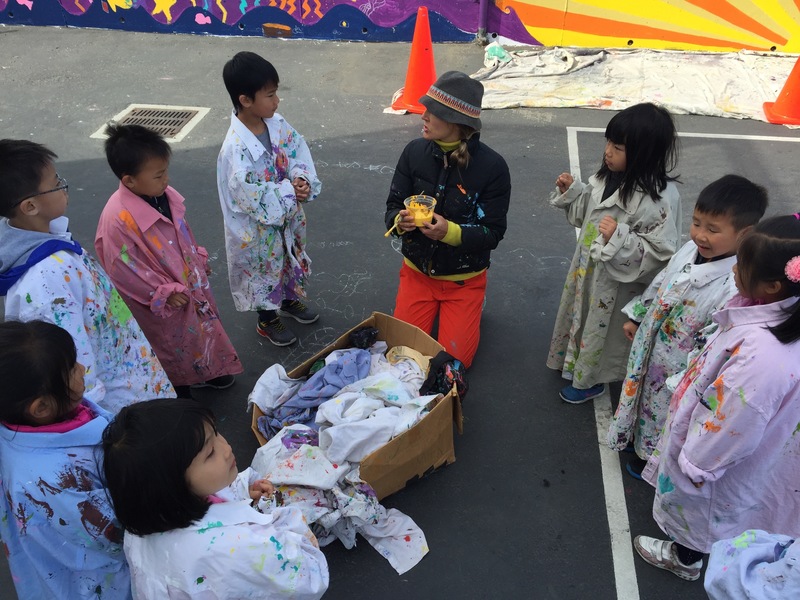 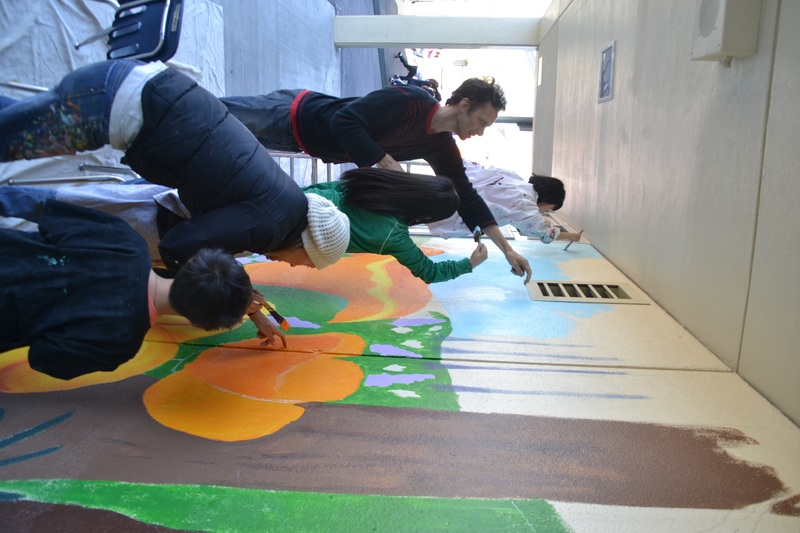 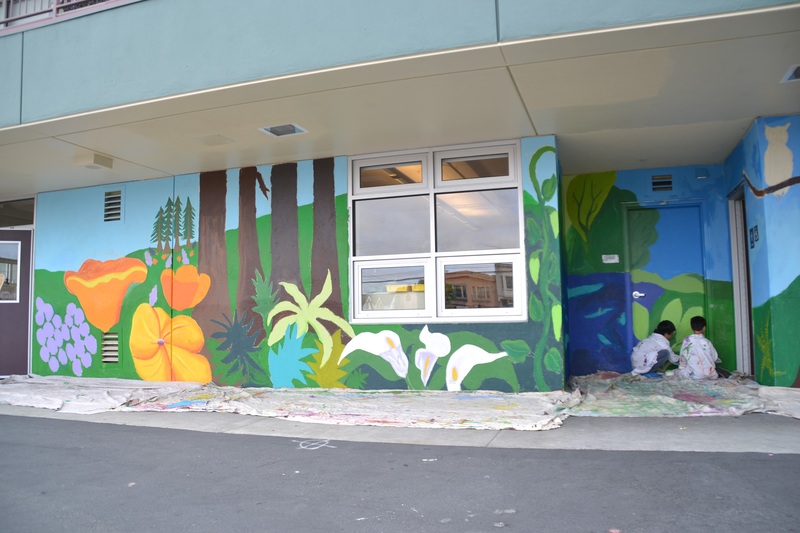 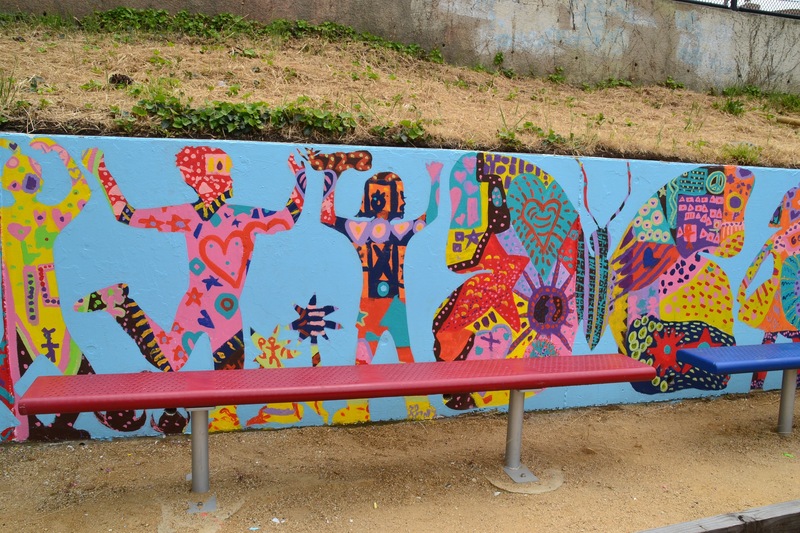 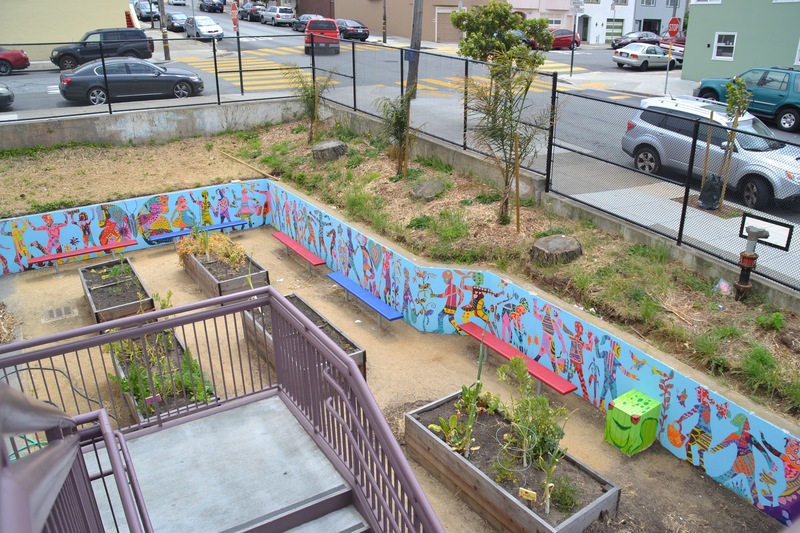 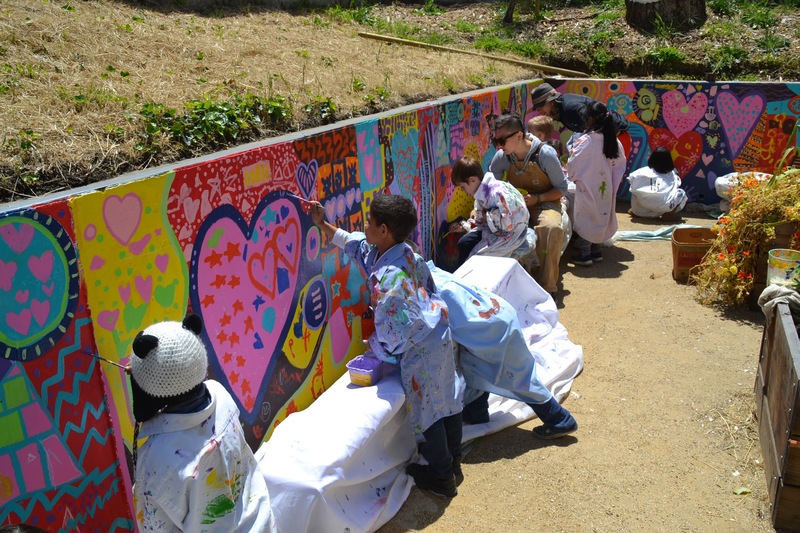 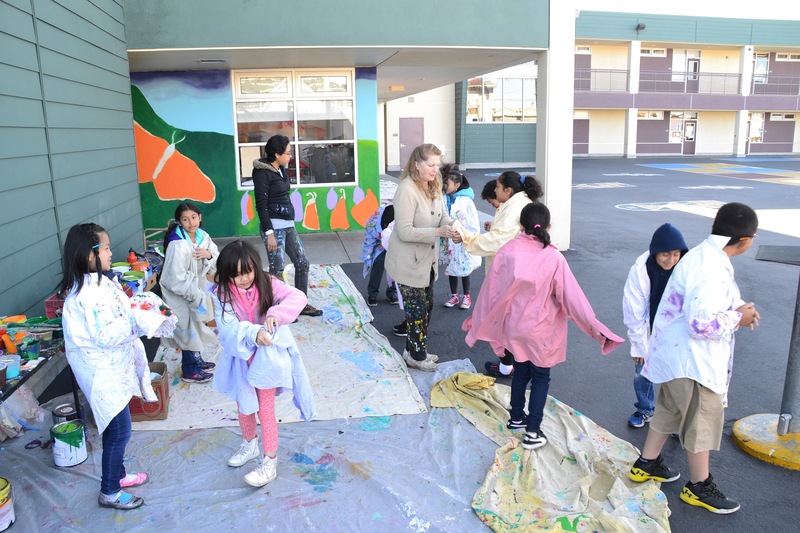 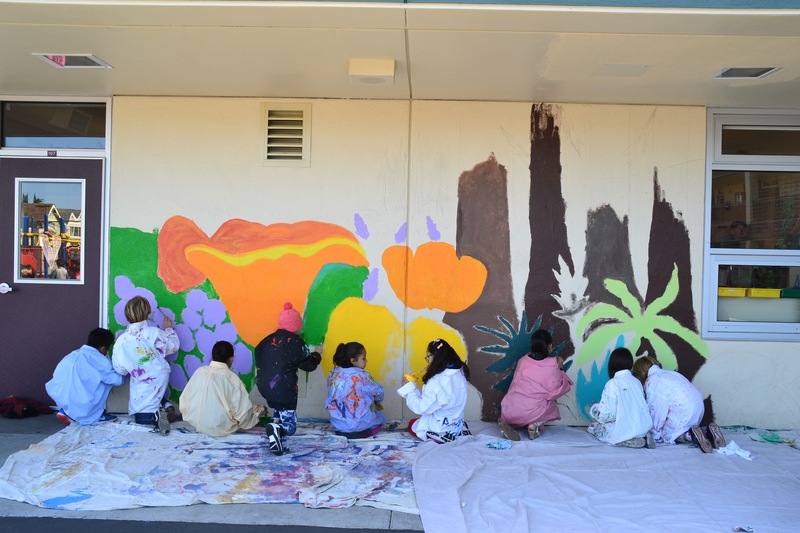 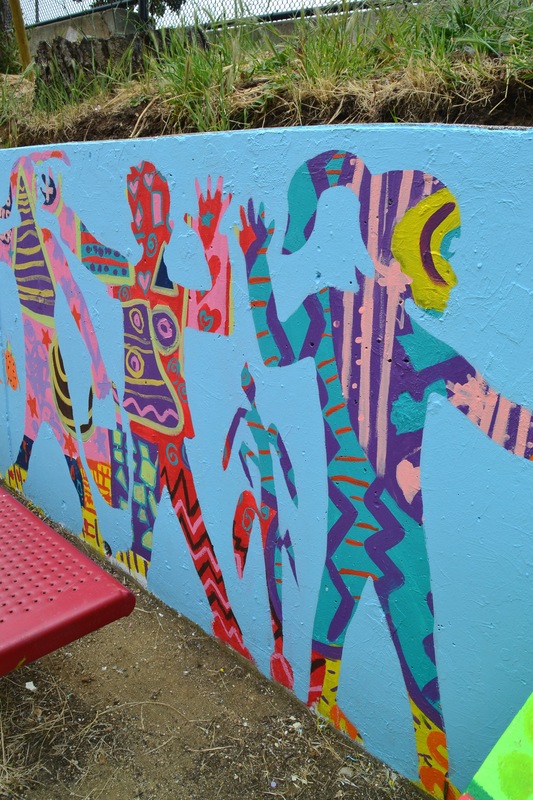 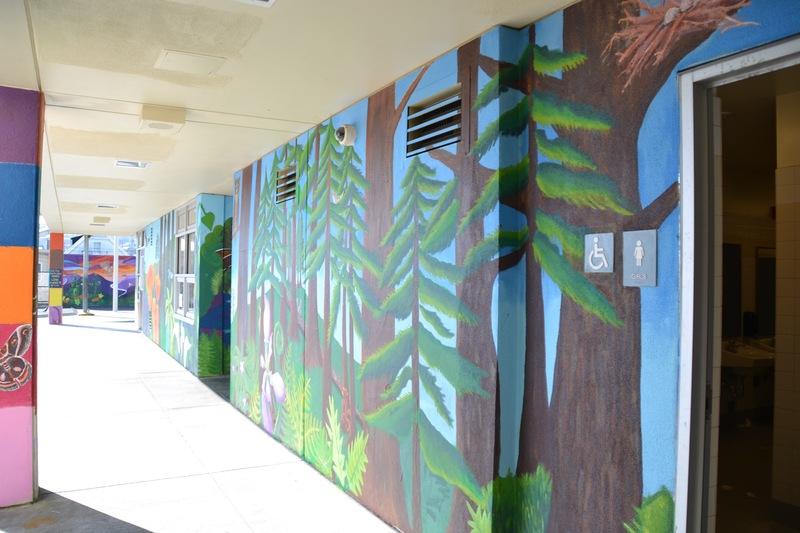 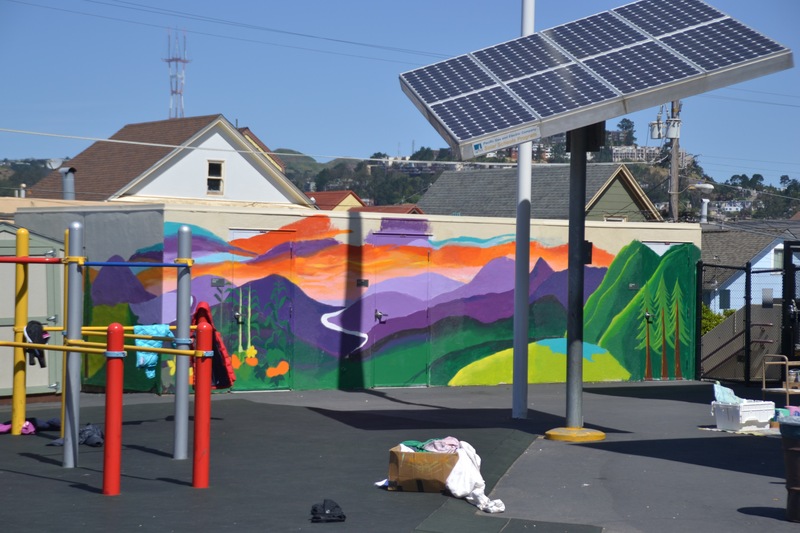 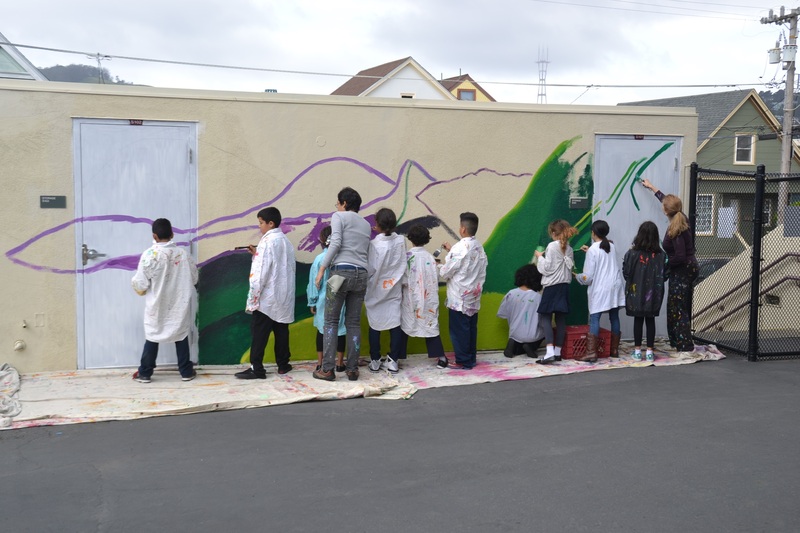 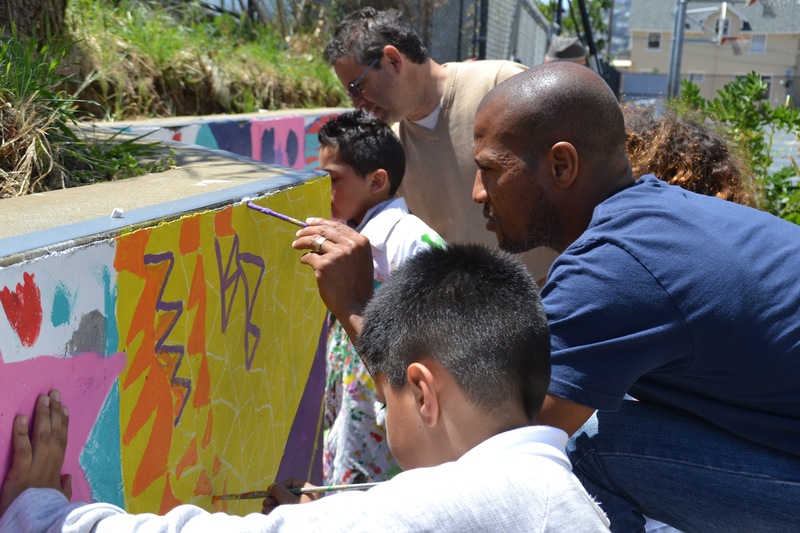 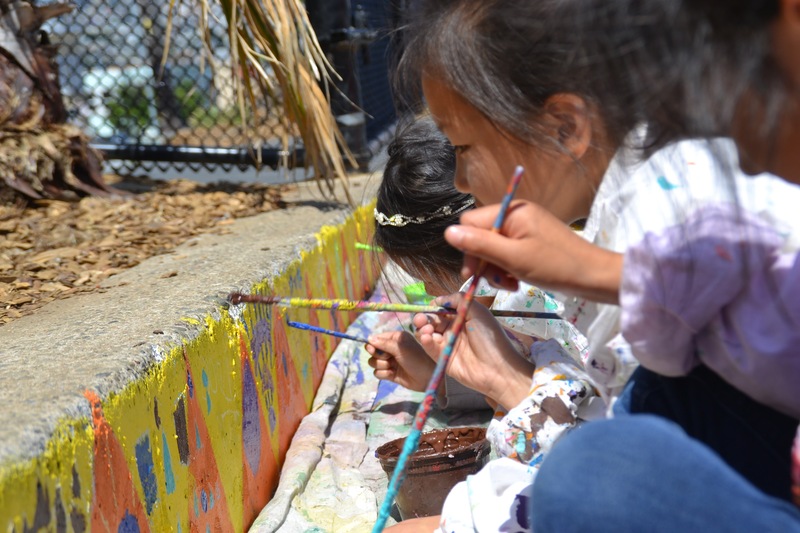 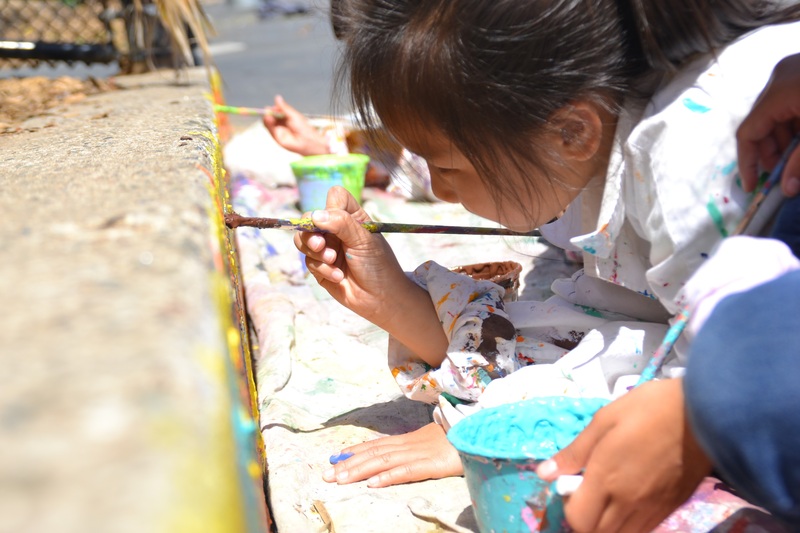 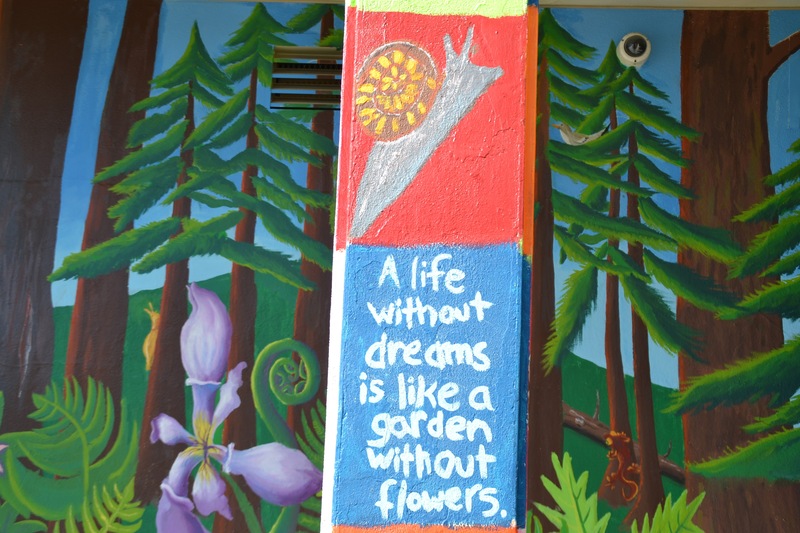 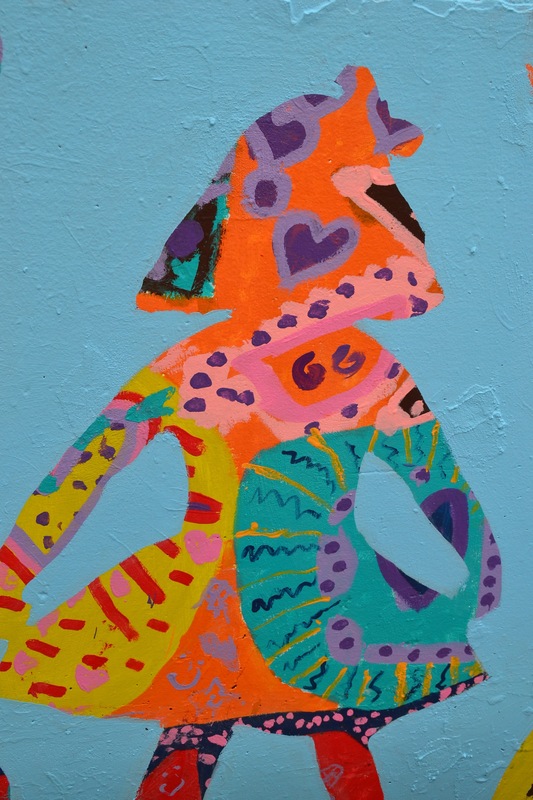 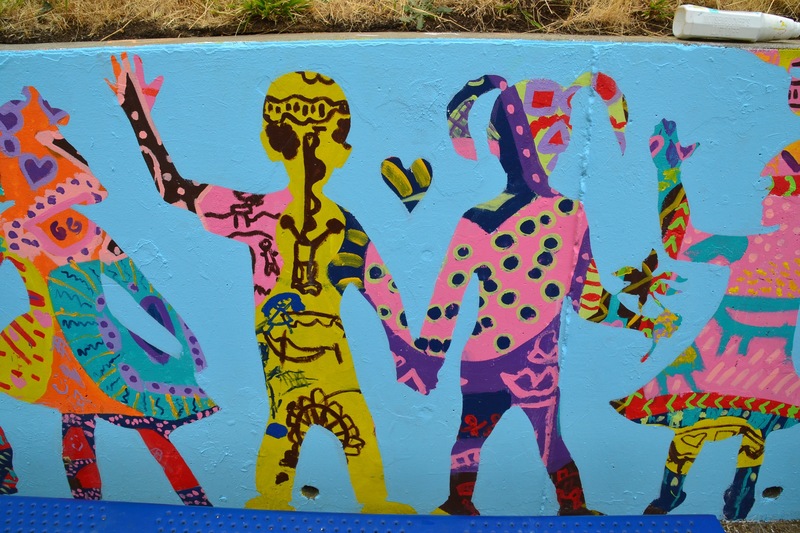 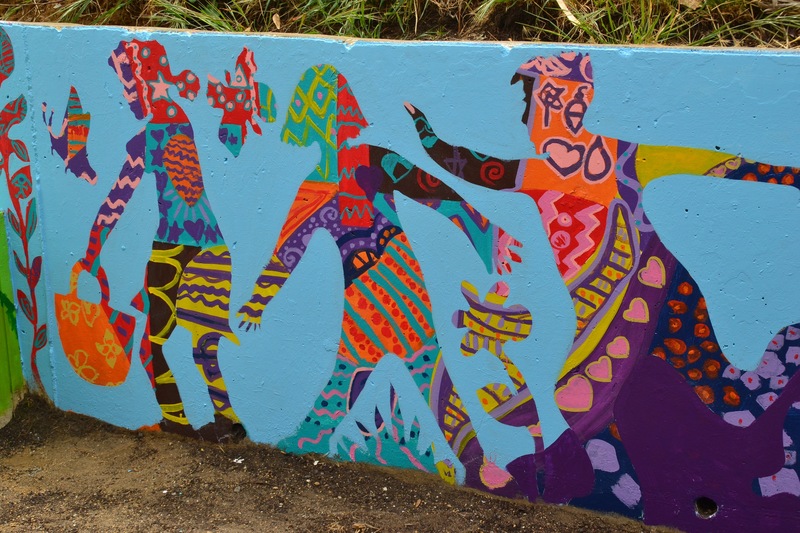 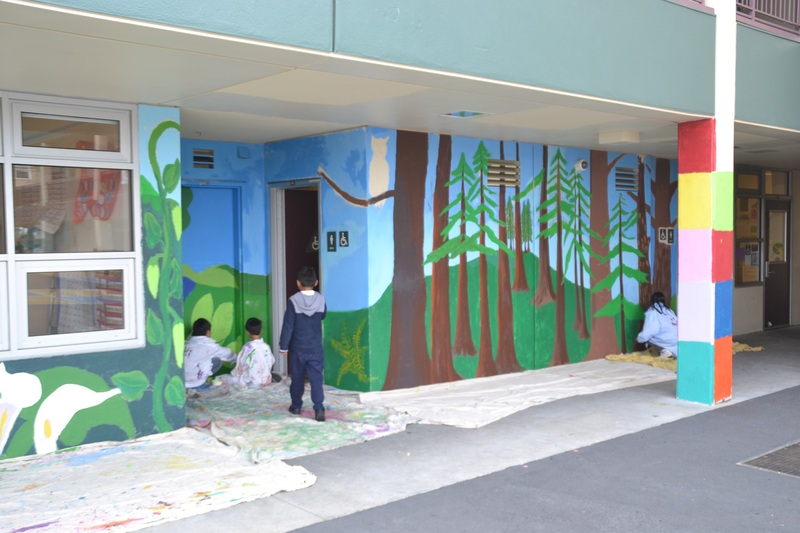 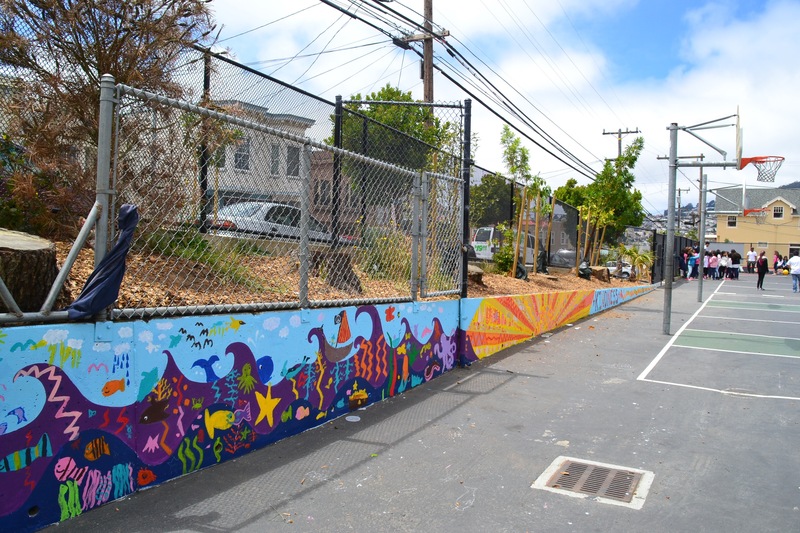 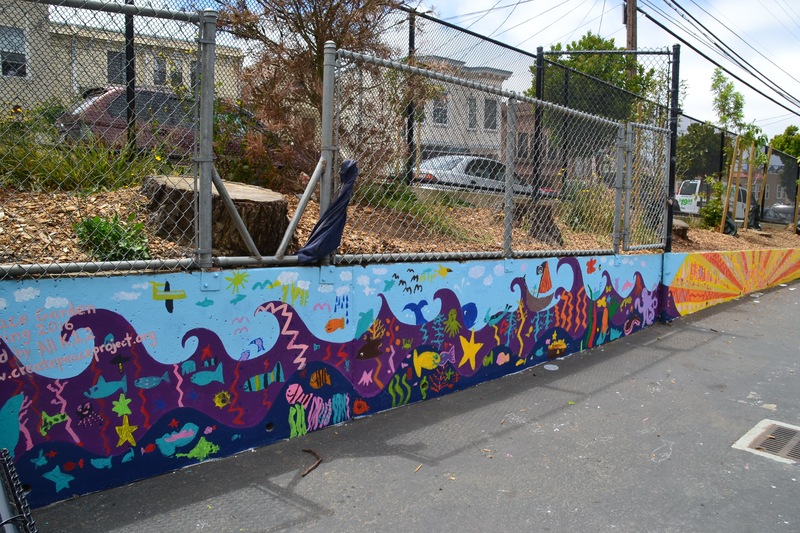 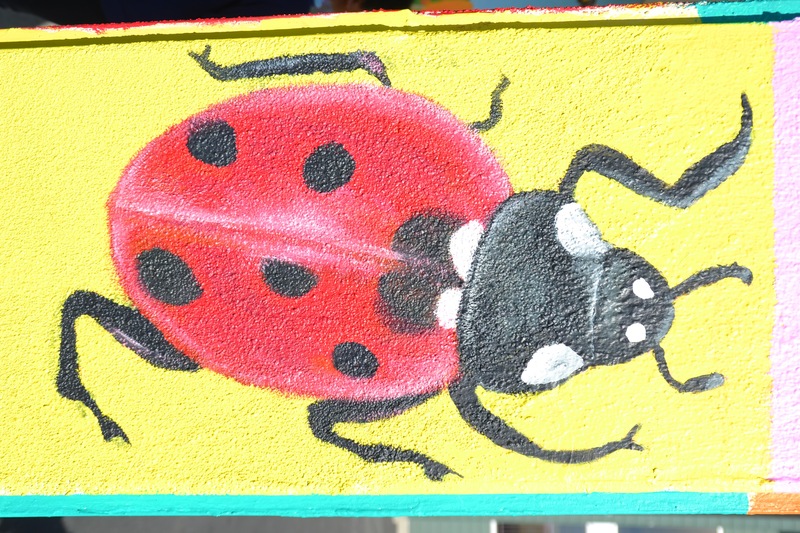 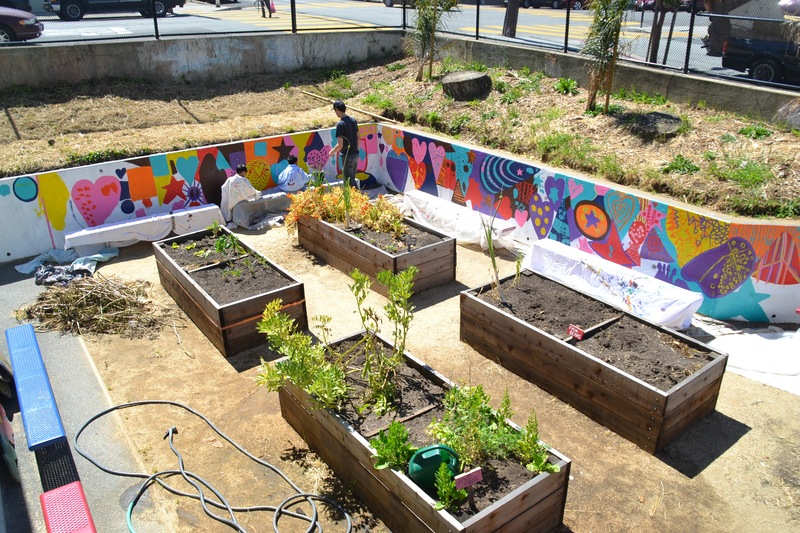 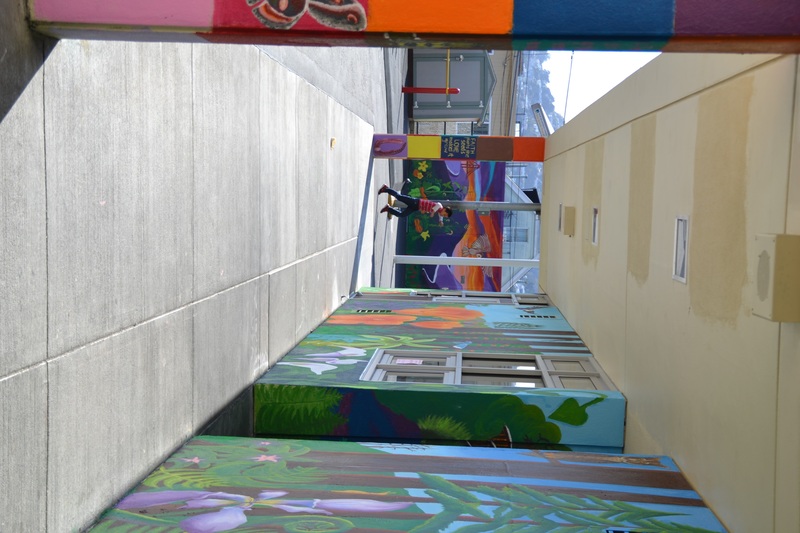 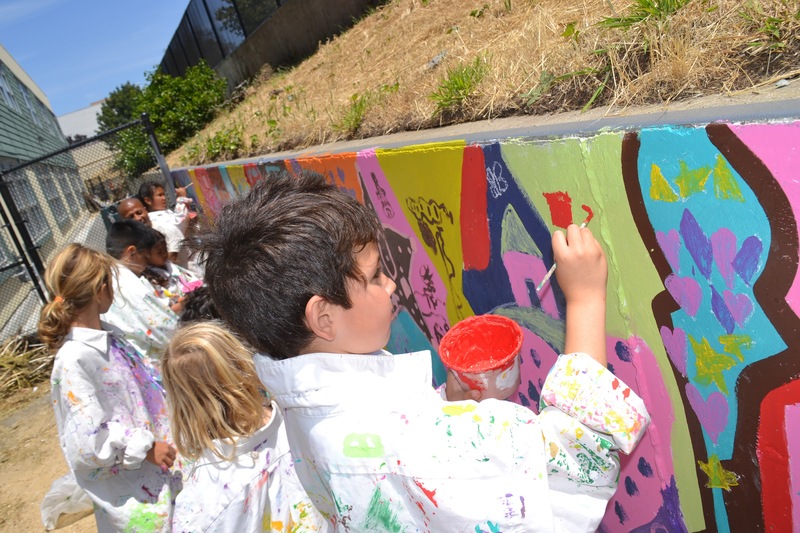 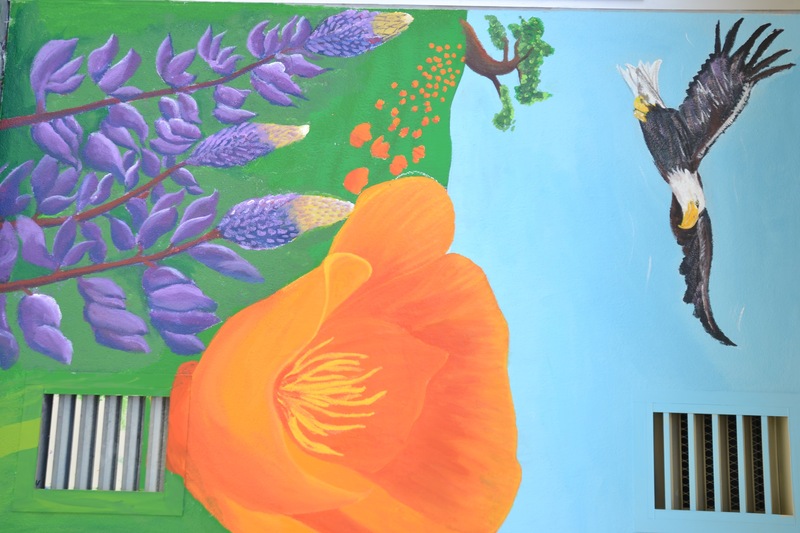 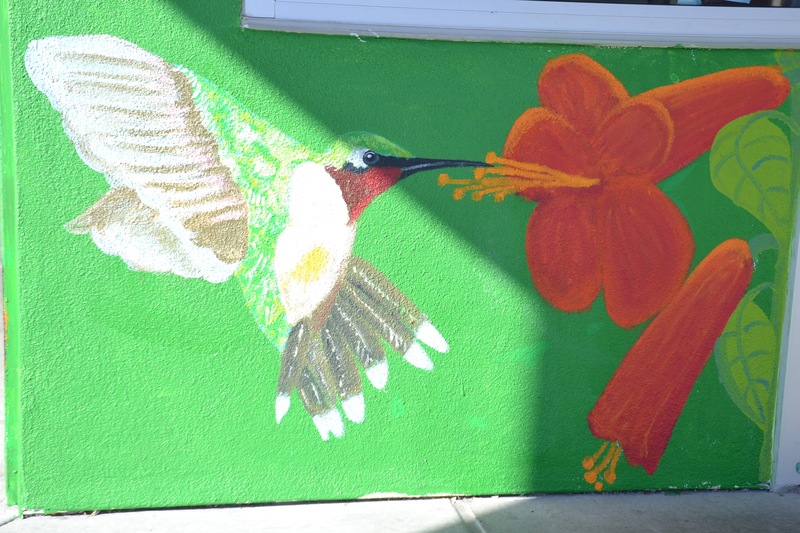 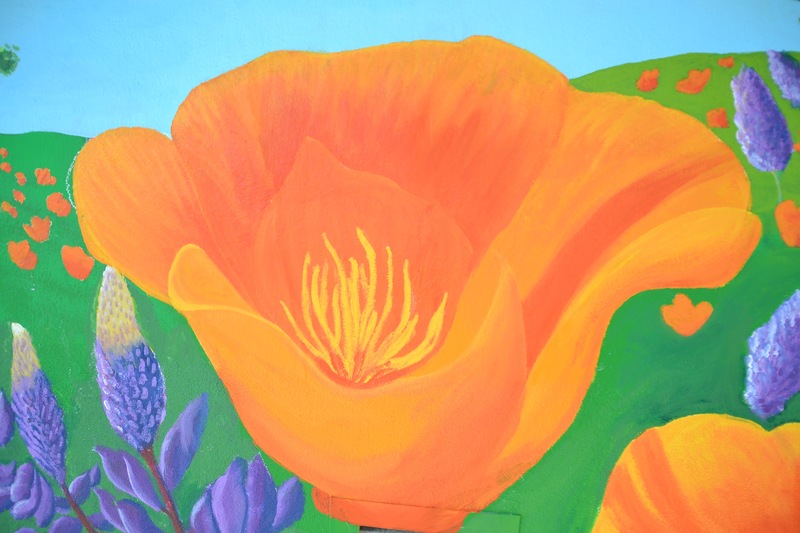 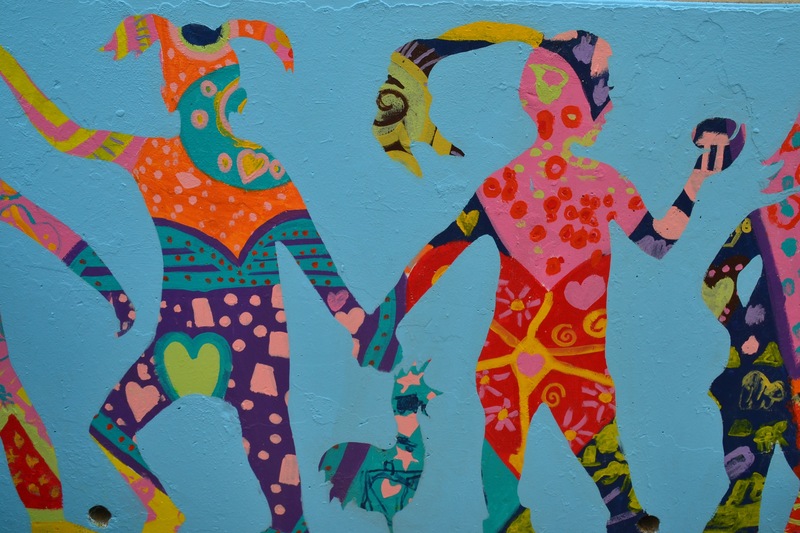 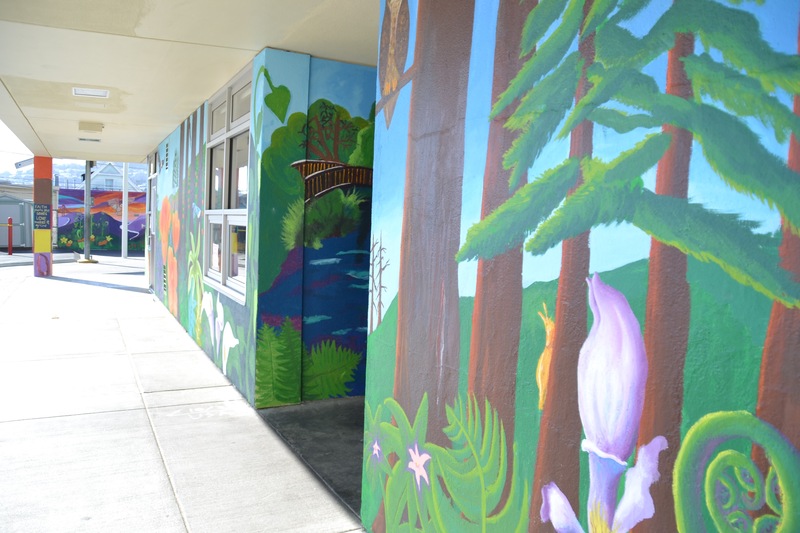 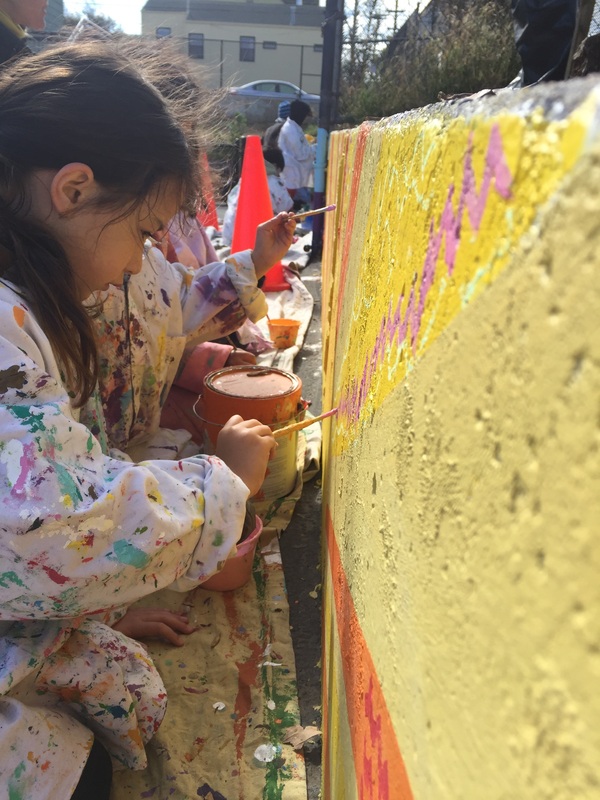 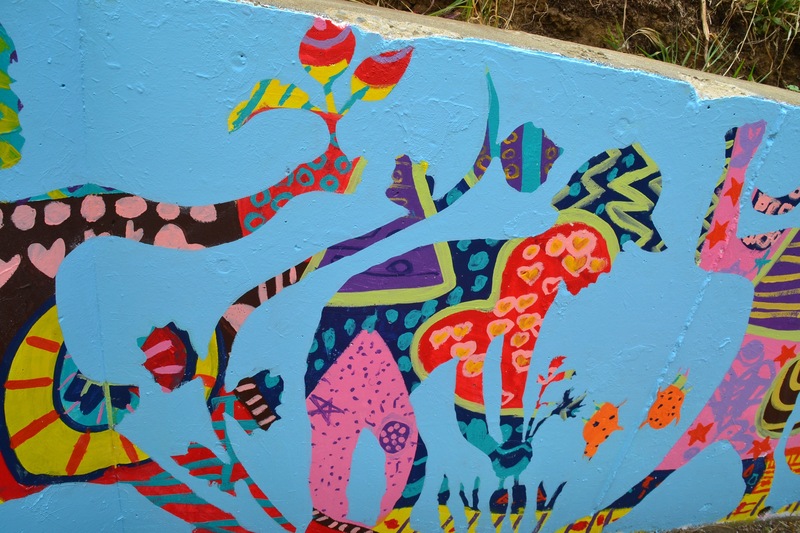 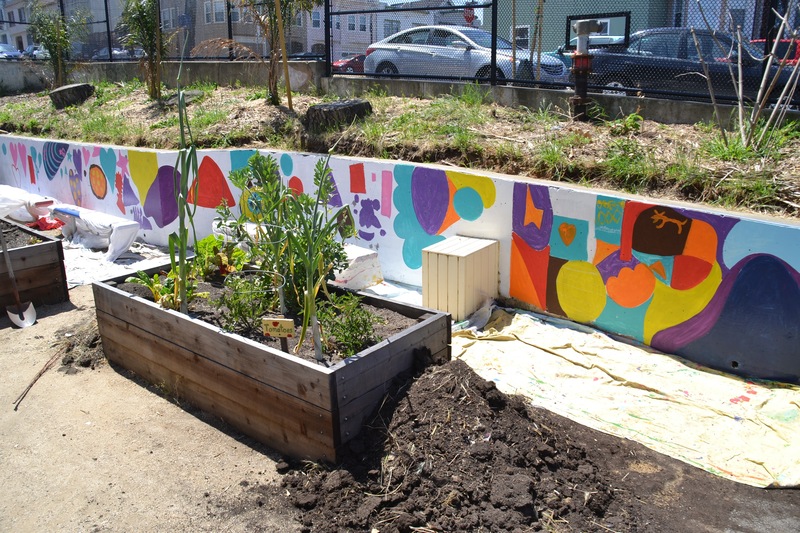 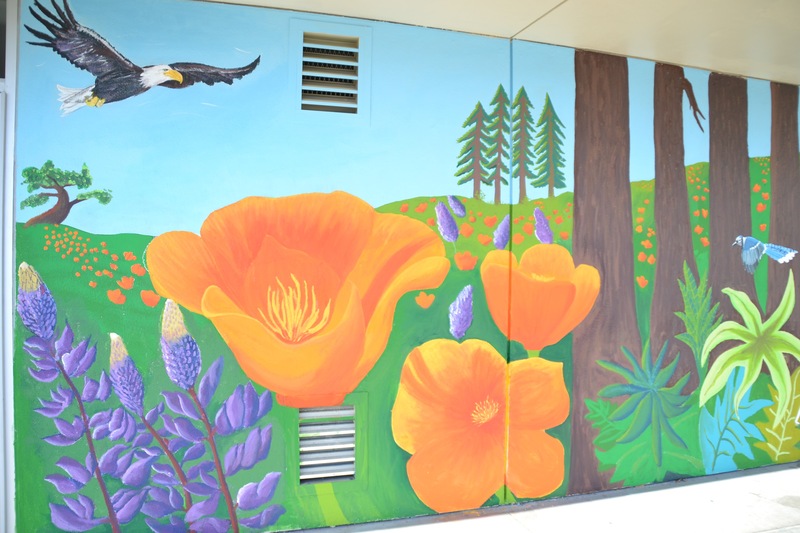 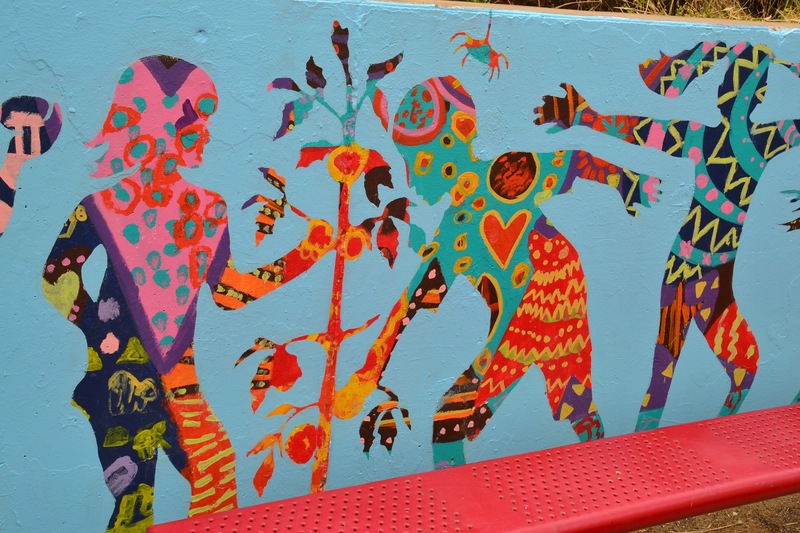 In May of 2019, Create Peace Project will lead its 4th year in a row of mural projects at Monroe Elementary School, in San Francisco. 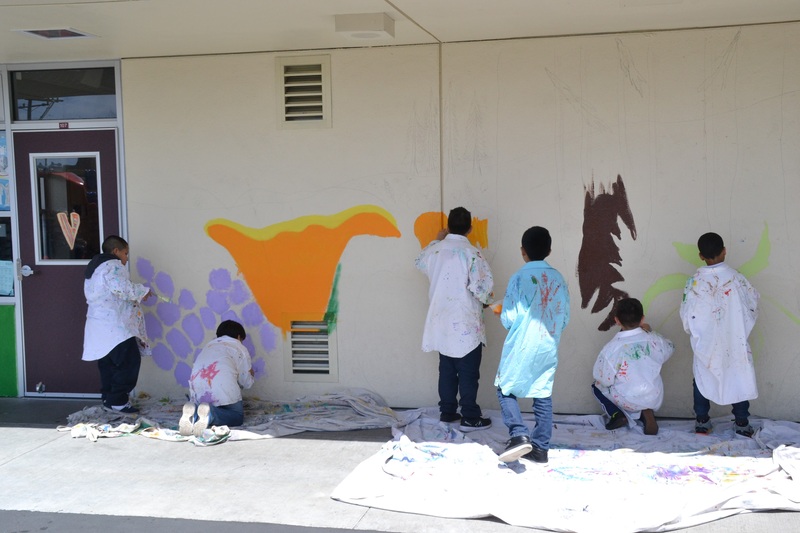 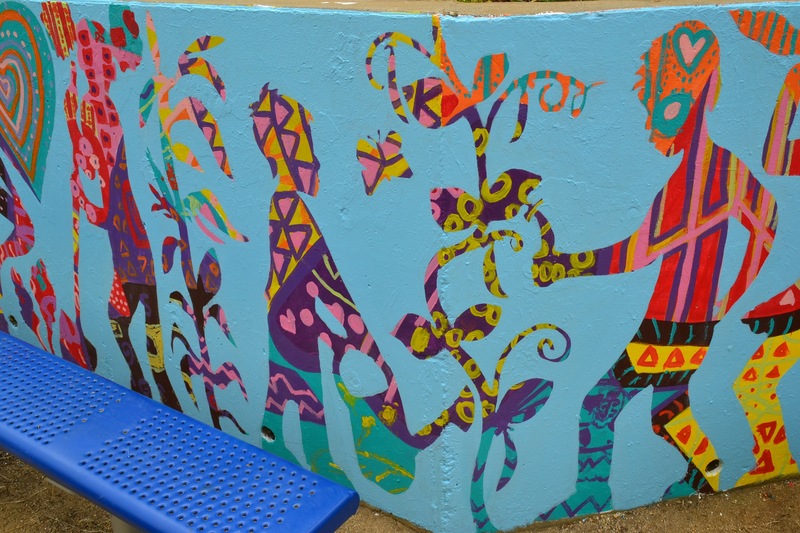 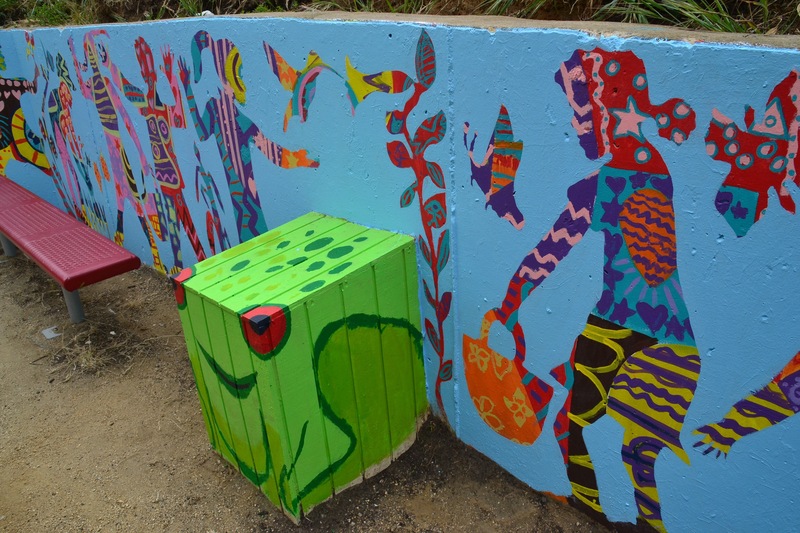 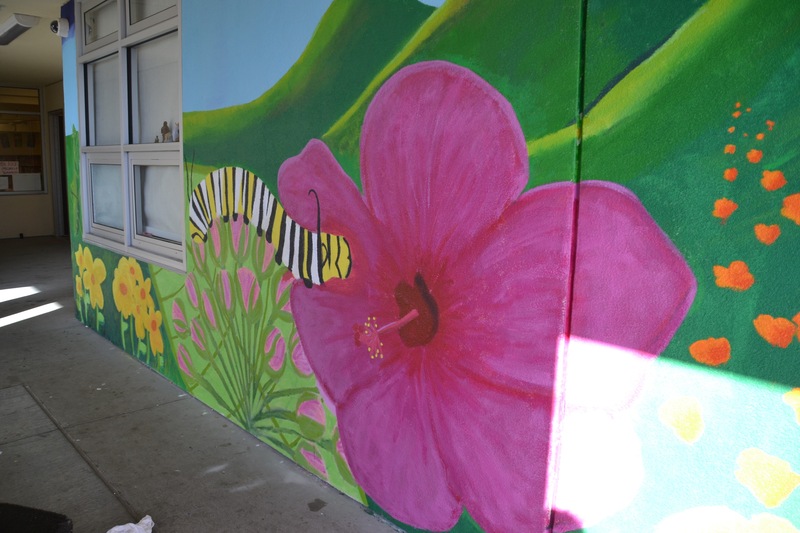 Monroe has a student body of 550+ Kindergarten thru 5th grade students.Each year, we engage the entire student body in school wide collaborative arts projects to beautify their school. 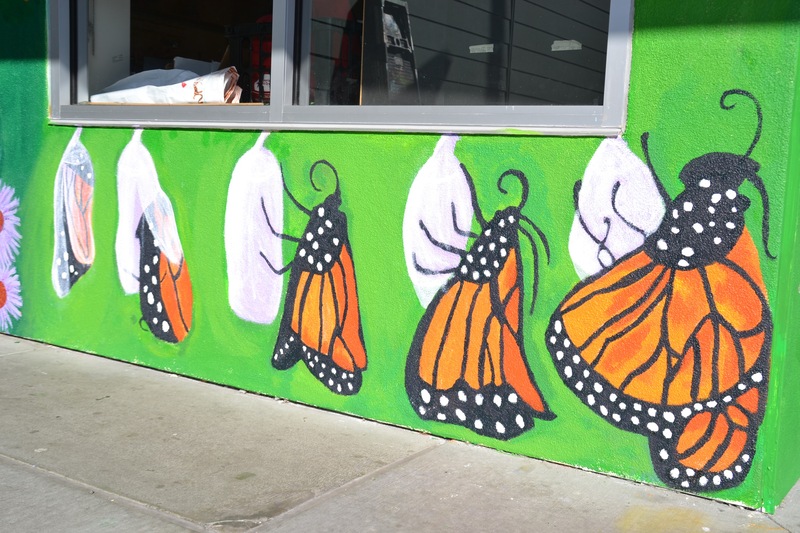 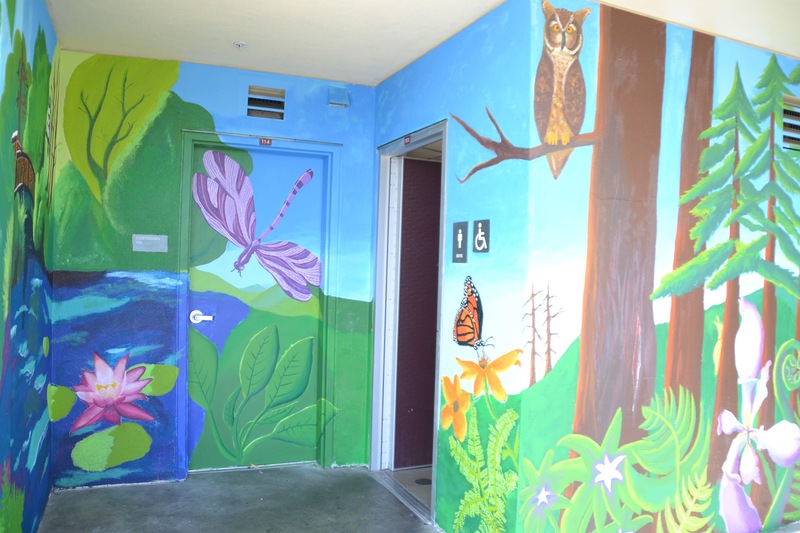 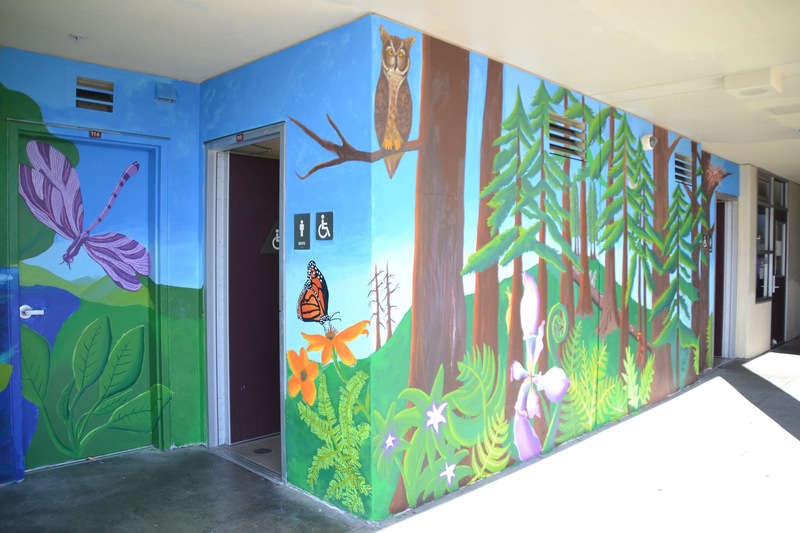 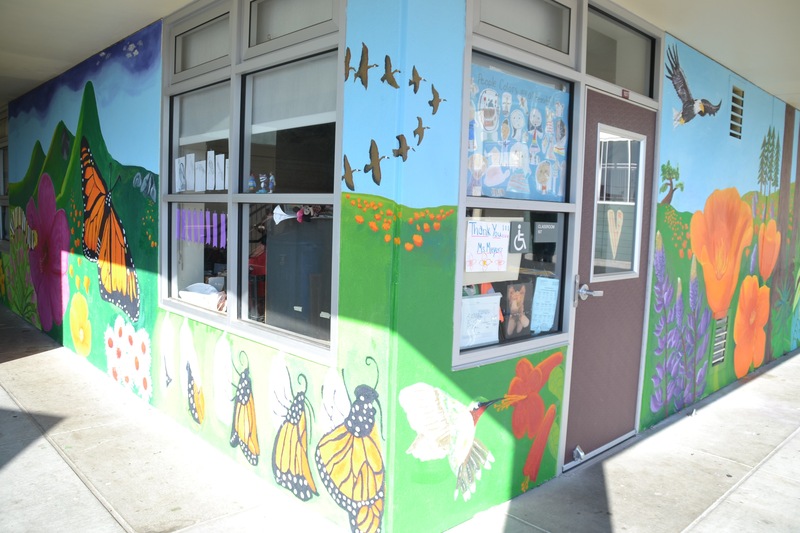 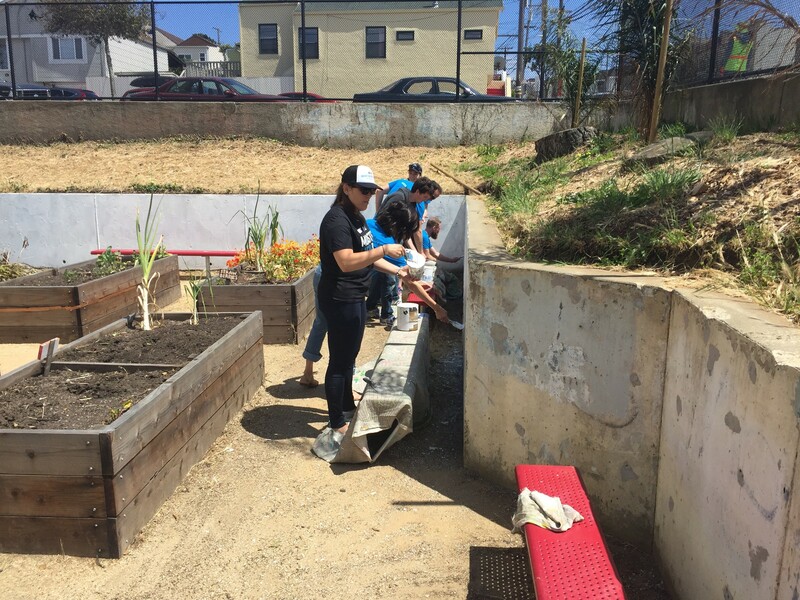 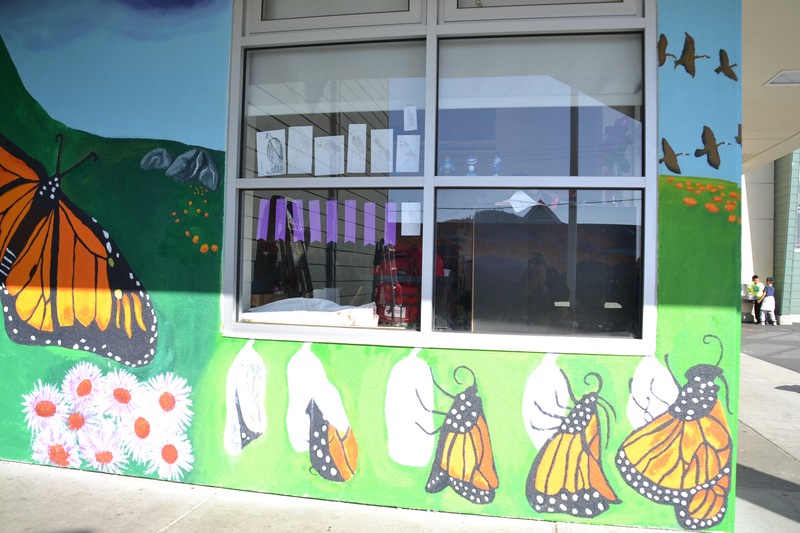 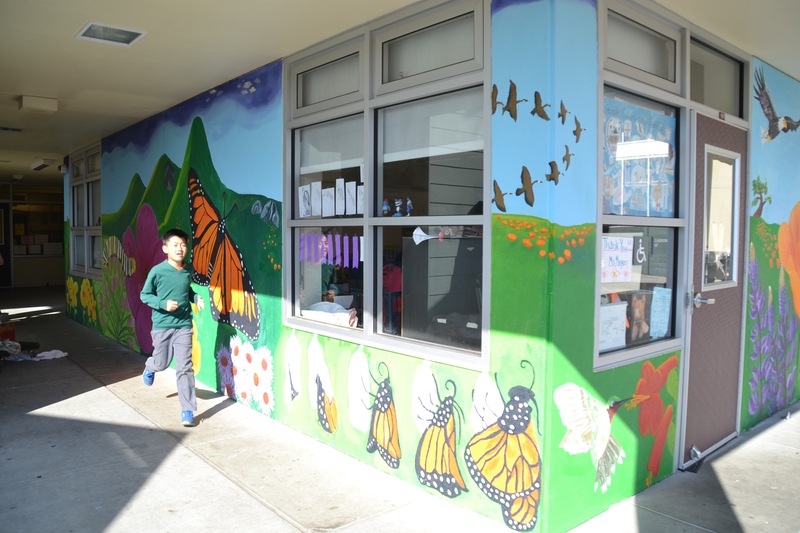 In 2016, we led two projects, a 1,500 sqft mural project creating a learning wall that included the life cycle of the monarch butterfly surrounded by native plants and trees of California. 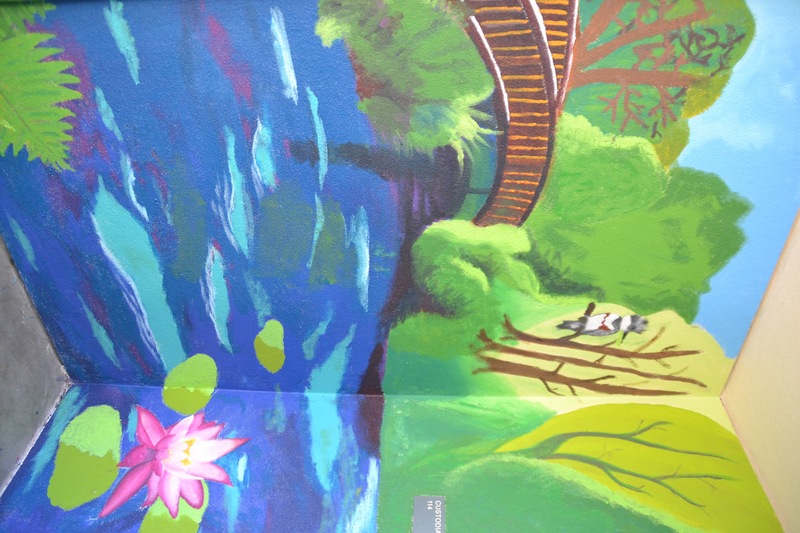 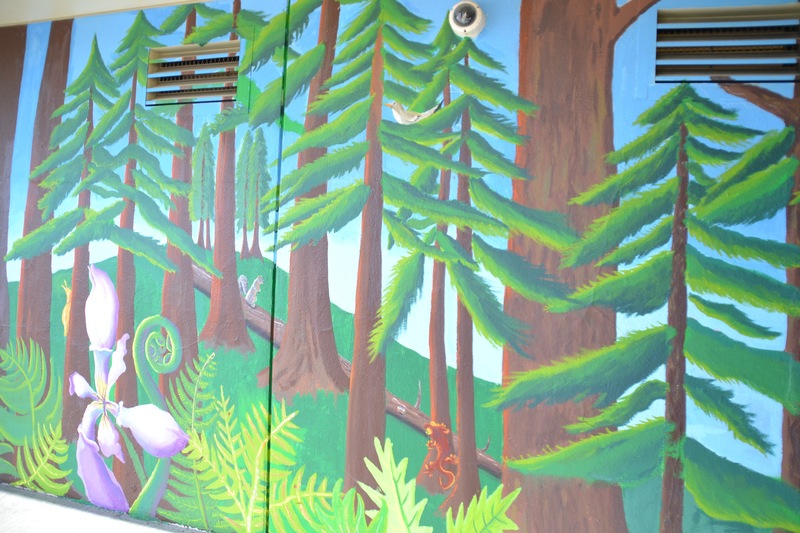 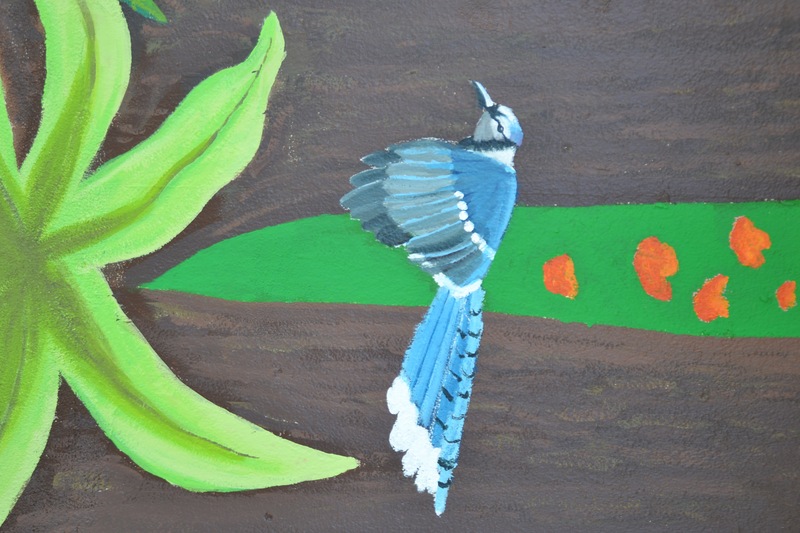 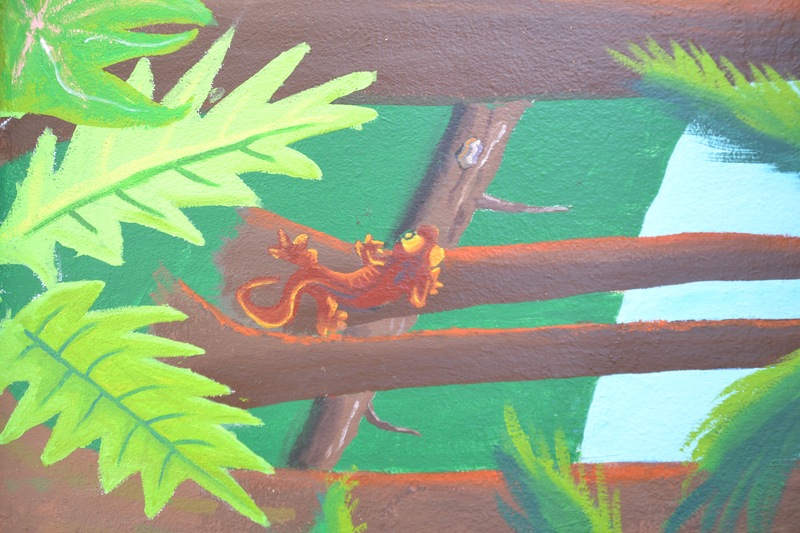 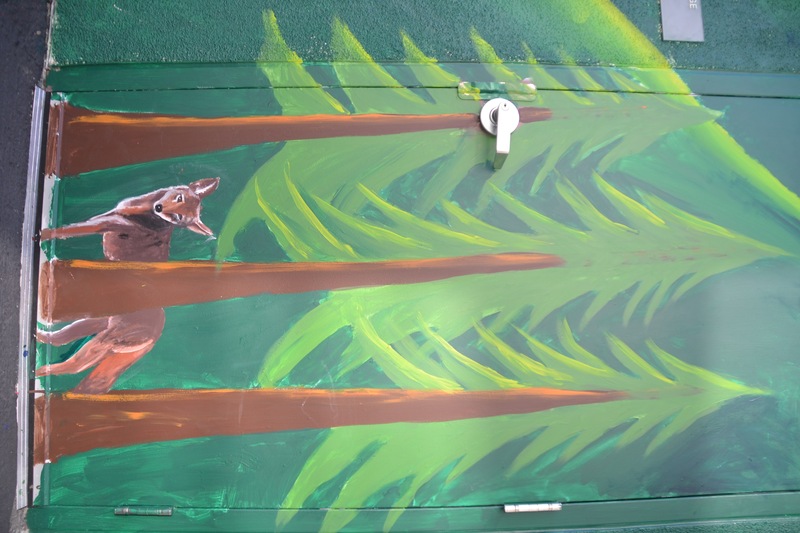 The mural highlights the redwoods, flora and fauna of the forest, the three sisters; corn, beans and squash, as well as birds and animals native to the area. 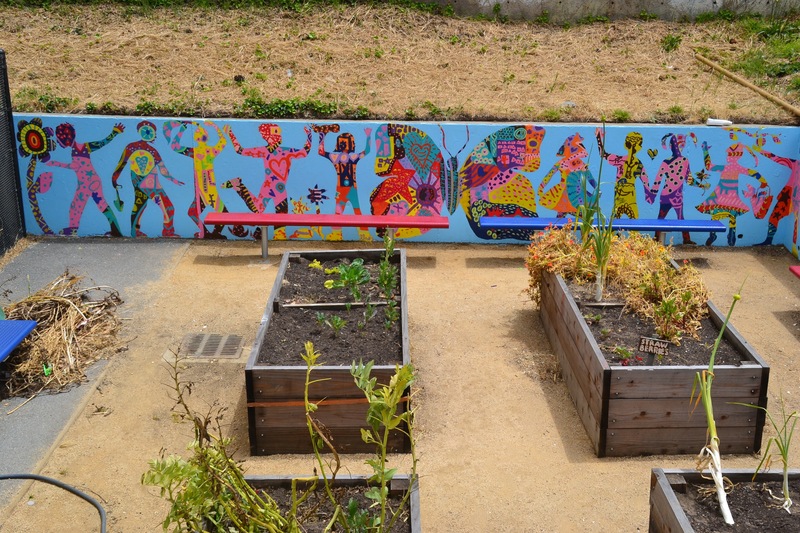 Along with this giant mural, painted with the 3rd-5th grades, we painted our “Peace Dance” mural, with the K-2nd grade students in their garden, giving the younger students the opportunity to freely paint with color and patterns to create a beautiful backdrop over which we painted silhouettes of the students in gardening poses. 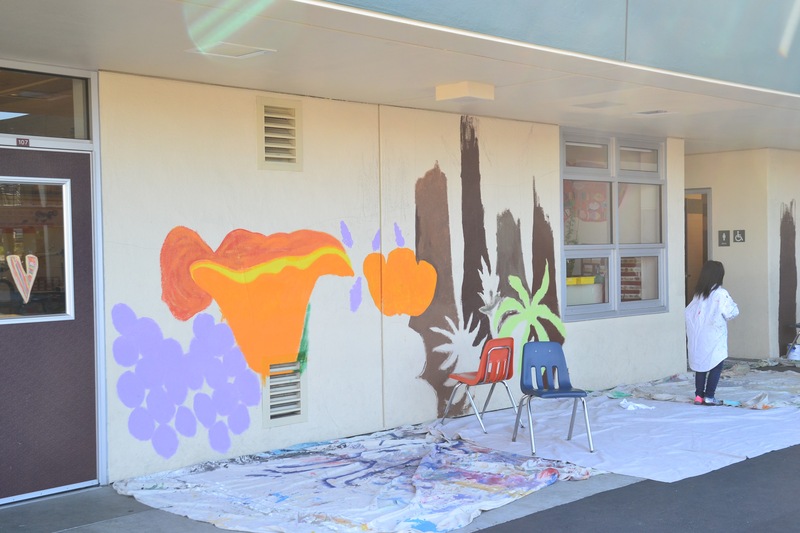 In 2017, we led a school-wide single mural project, titled: In the Flow, highlighting fun and inspiring images of children riding bikes, reading, playing sports, and gardening. 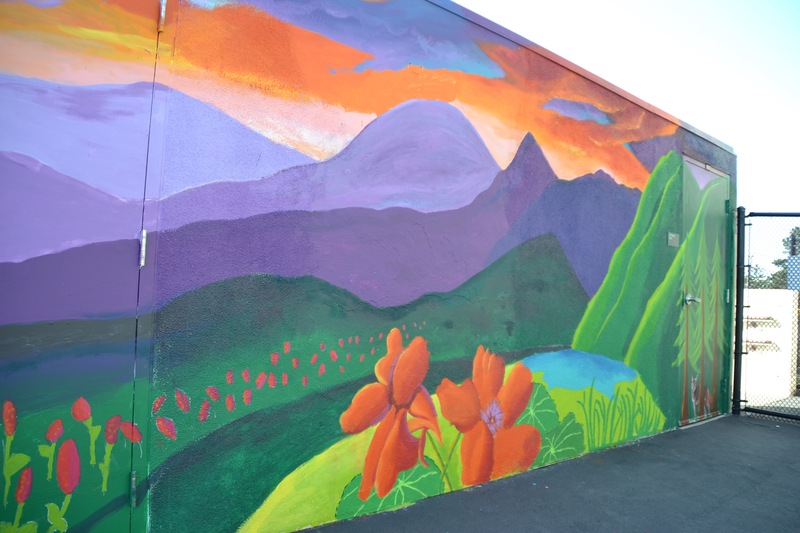 This mural covered more than 1,600 sqft of wall space and was full of bring and uplifting colors. 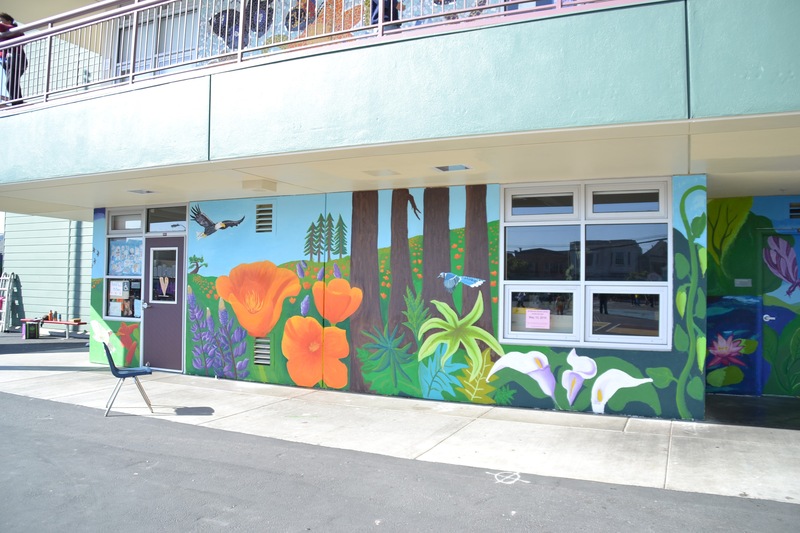 In 2018, we again led two separate murals, one for the 3-5th grades and one for the K-2nd grades. 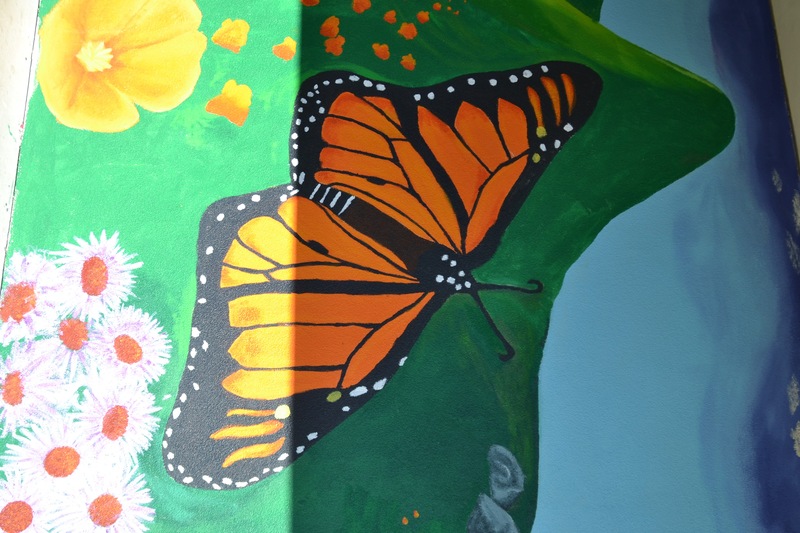 The older kids were asked to draw inspiring people in their lives and we translated the children’s drawings from their originals into giant, larger-than-life versions of the figures they drew, onto the walls of the school. 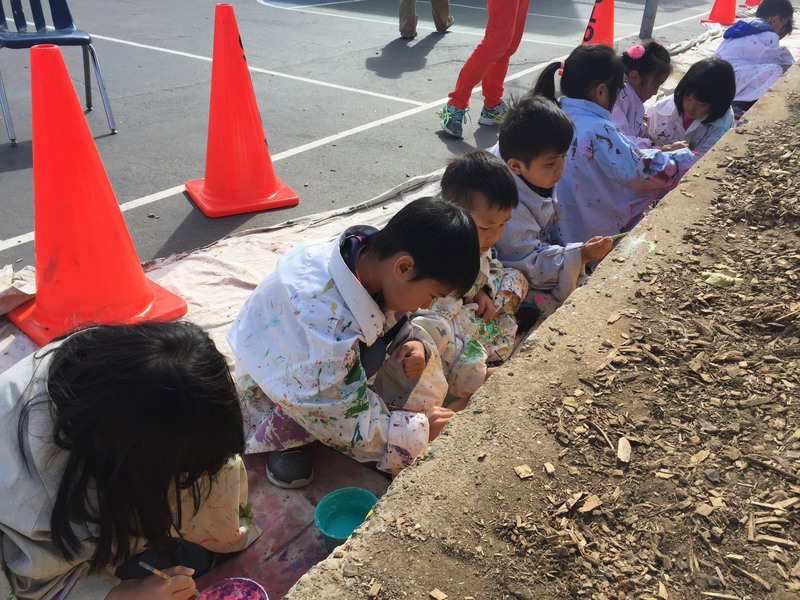 The younger students created an “Apple Tree of Life” painted on the outdoor auditorium stairs/seating area in the back courtyard of the school. 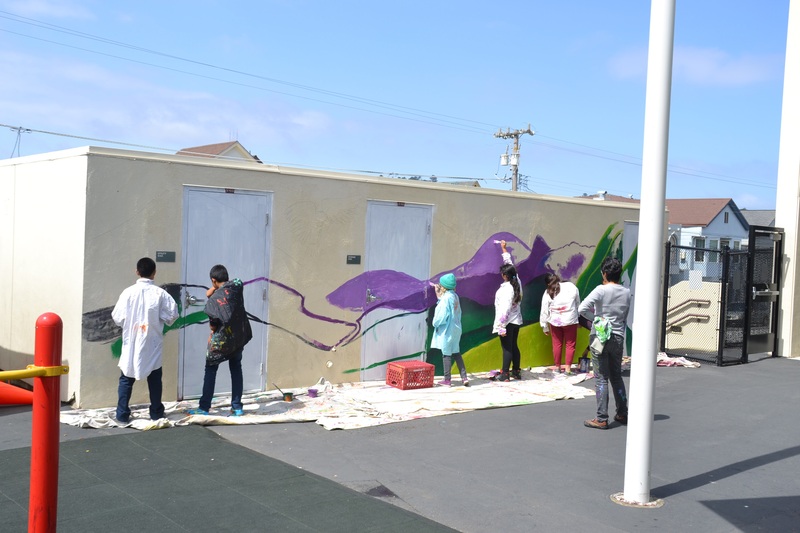 Both murals were excellent examples of the students generating ideas and sharing their creativity in a collaborative mural making process, led by Create Peace Project. 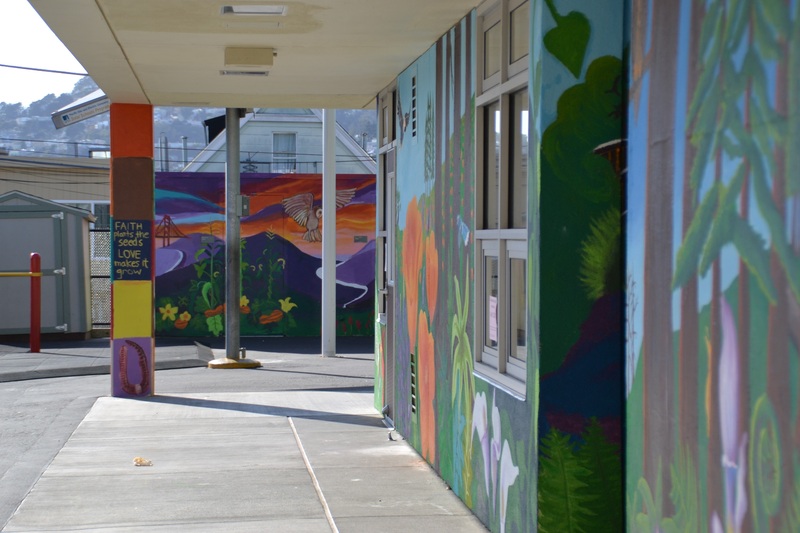 In 2019, we will lead the creation of a 300 sqft mosaic mural to beautify the entrance of the school, under the theme of “inclusivity” this years mosaic is certain to brighten an uplift the entrance to this school in the Excelsior district of San Francisco. 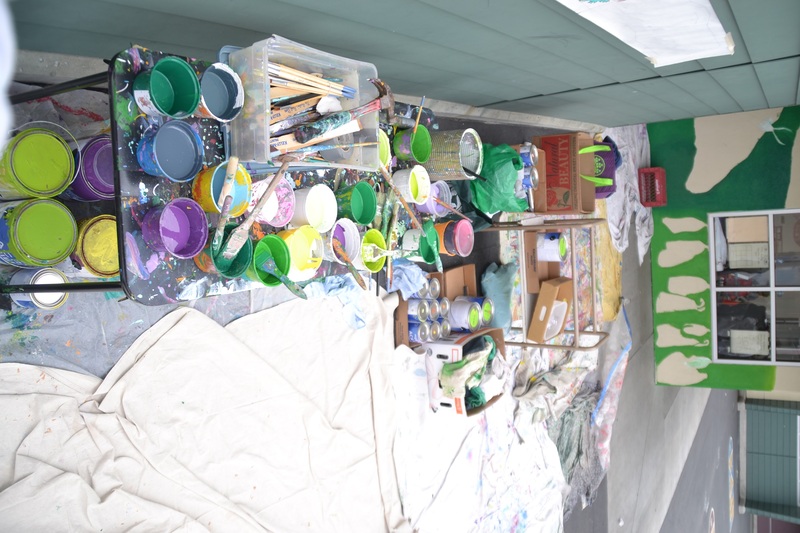 A school-wide collaboration will take place over 4 weeks, where every student will participate in the arranging and creation of a mosaic mural with broken tile and glass.